The B.Tech. course is duly approved by the All India Council for Technical Education (AICTE), Government of India and the Department of Higher Education, Government of West Bengal. The duration of study of this course is 4 years (8 semesters) and total intake in each discipline is 40+8 (lateral entry) students. The B.Tech course in Ceramic Technology is NBA accredited. The Institute has been offering a full time postgraduate course leading to M. Tech in Ceramic Technology since 2006. The sanctioned intake of students for the M.Tech course is 18.The M.Tech. course in Ceramic Technology is NBA accredited. 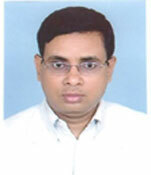 This academic department offers guidance and facilites for Ph.D.programe. The Institute has collaborated with reputed institutions at national and international level for postgraduate, project and Ph.D programmes.The Petronus University of Malaysia, Northern University in Saudi Arabia, Curtin University in Australia, Jadavpur University, Calcutta University, Presidency University, CGCRI, Saha Institute of Nuclear Physics are the ones to name a few. 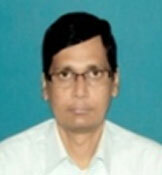 Dr. M.S.Dutta, Smt. 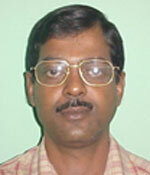 Sonali Sarkar, Smt. Ipsita Pathak and Mr. Papu Halder are part-time faculty members who are engaged in teaching Ceramic Technology based subjects of this college.